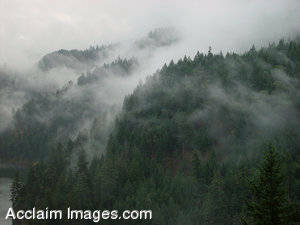 Description: Stock Photo of the Oregon Mountain Range. This picture is taken near Prospect, Oregon showing the typical mountains found in southern Oregon. This photo is available as an art print or poster and may be licensed as stock photography.